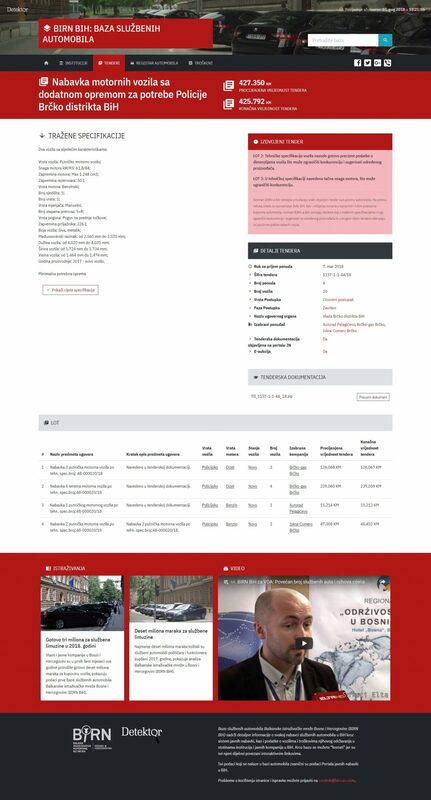 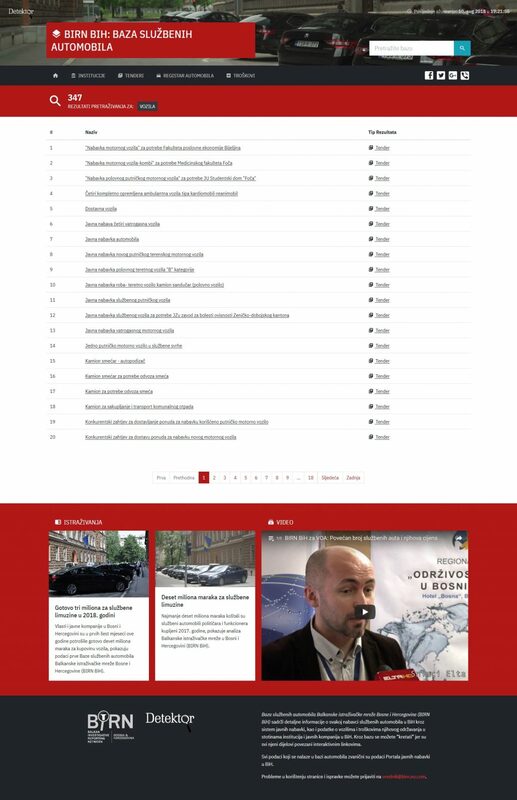 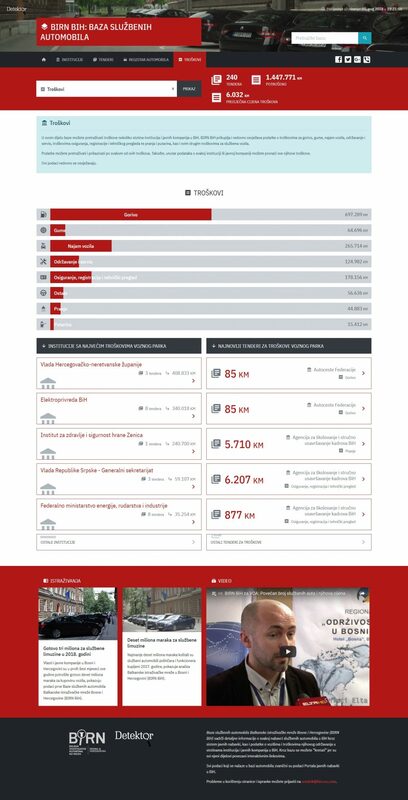 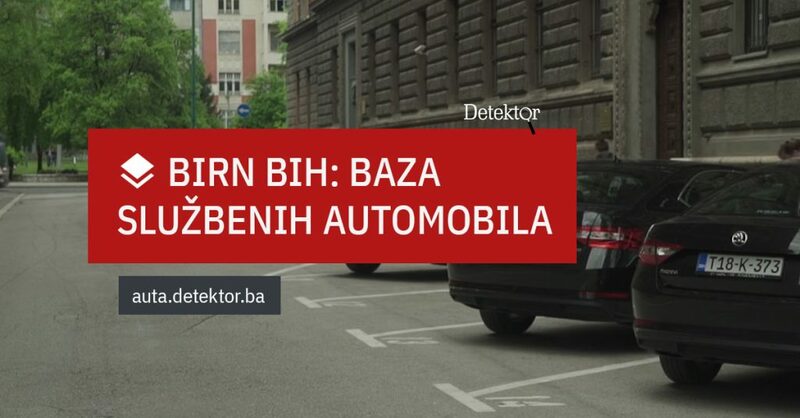 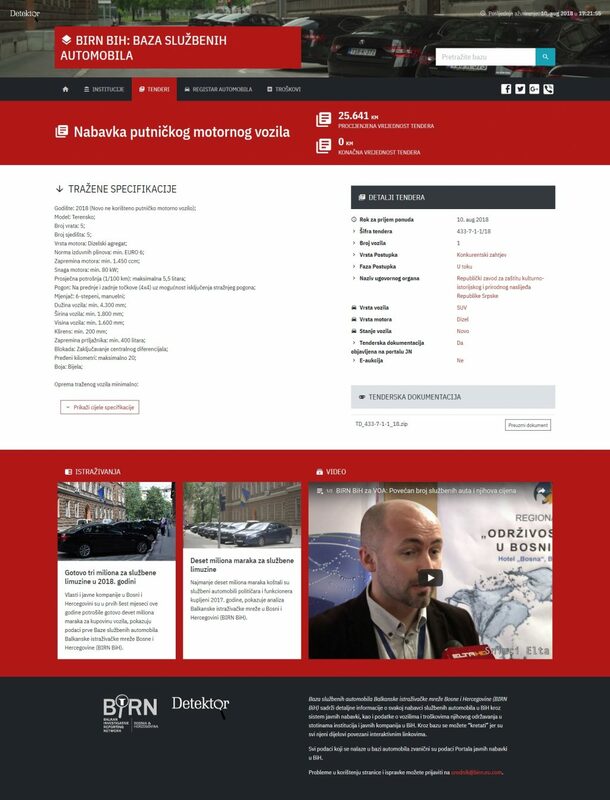 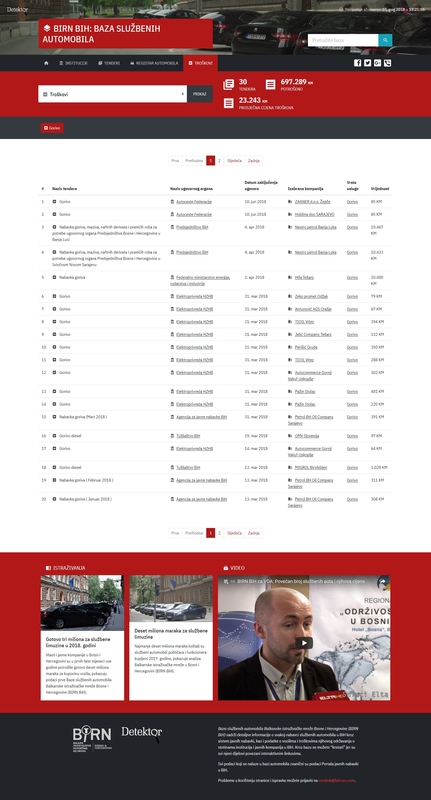 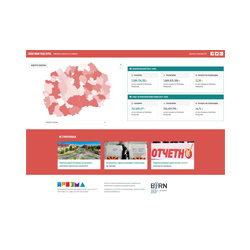 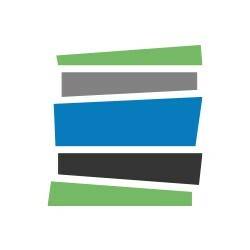 Responsive web design (based on Bootstrap), front-end development and graphic design for BIRN (Balkan Investigative Reporting Network) Bosnia and Herzegovina for the interactive Database of official cars (“BIRN BiH: Baza službenih automobila“). 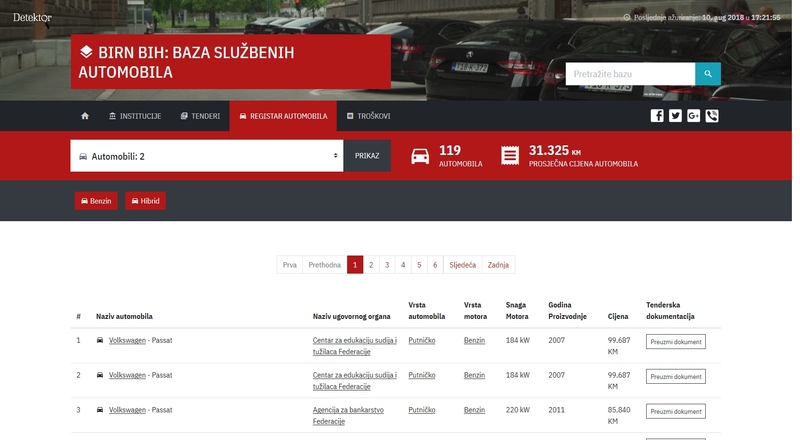 The database provides access to information about all tenders for the purchase of vehicles in 2018, as well as the car parks of hundreds of institutions and public companies in Bosnia and Herzegovina, and the costs for maintenance. 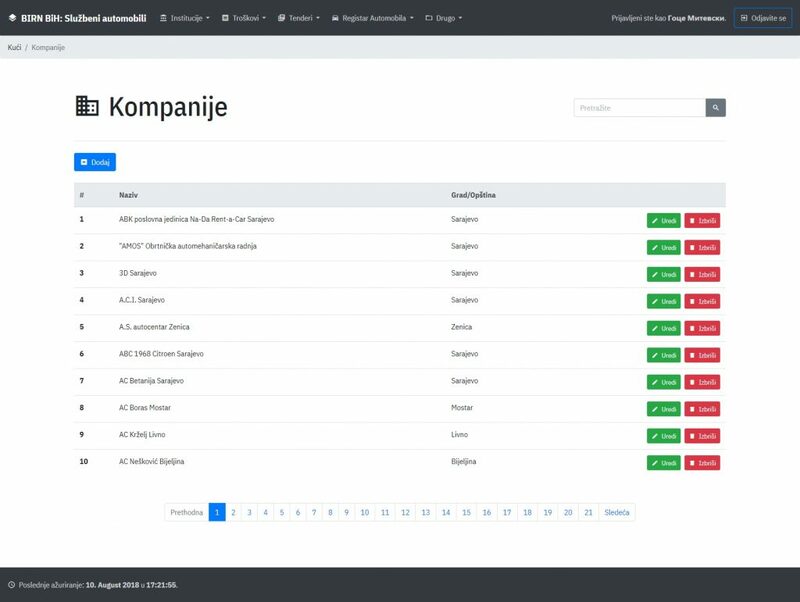 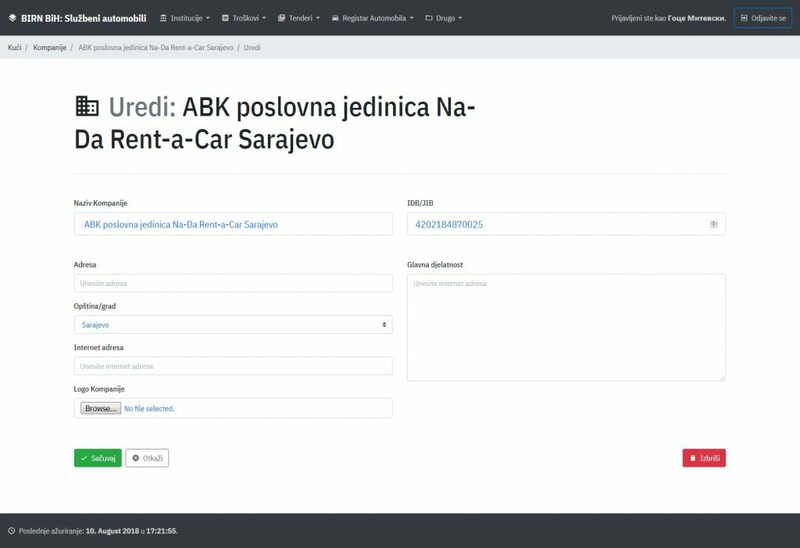 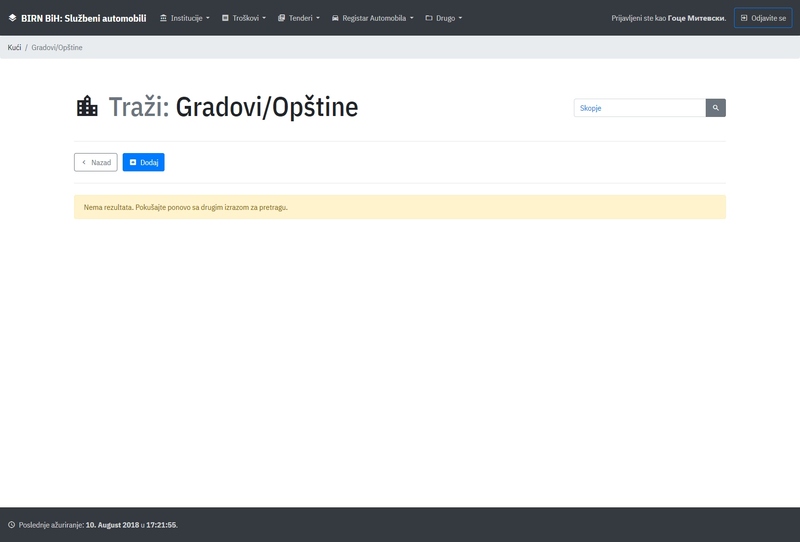 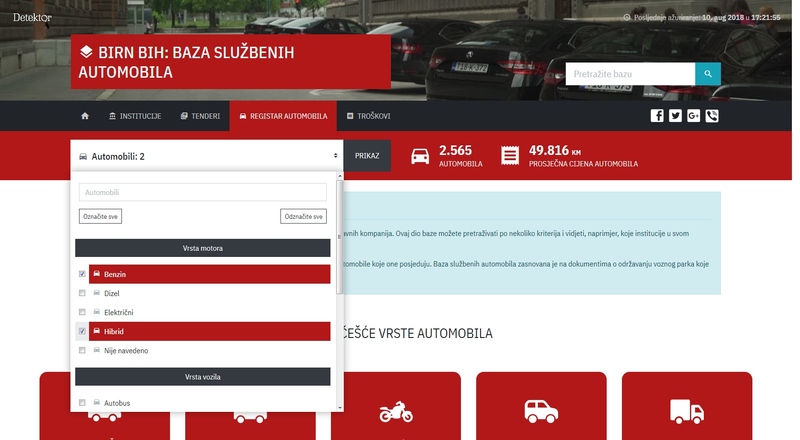 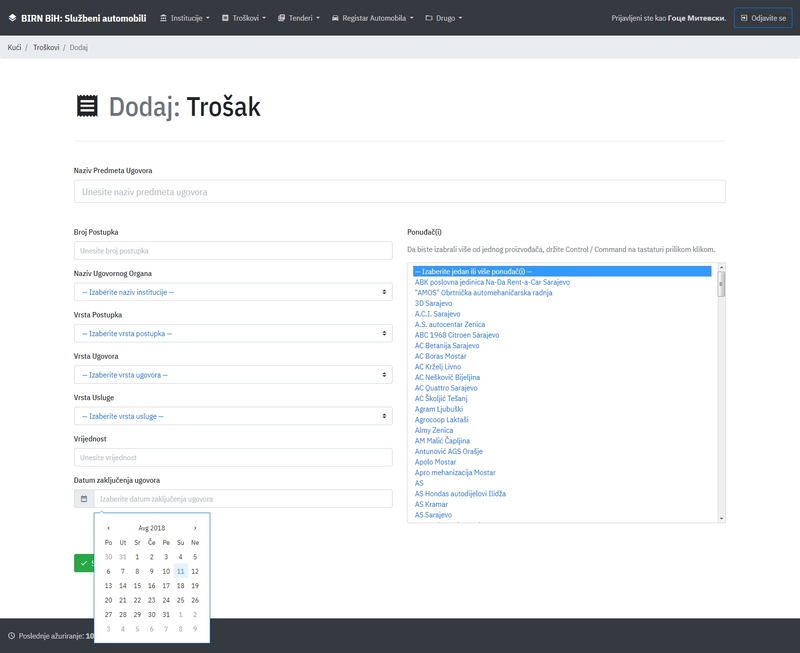 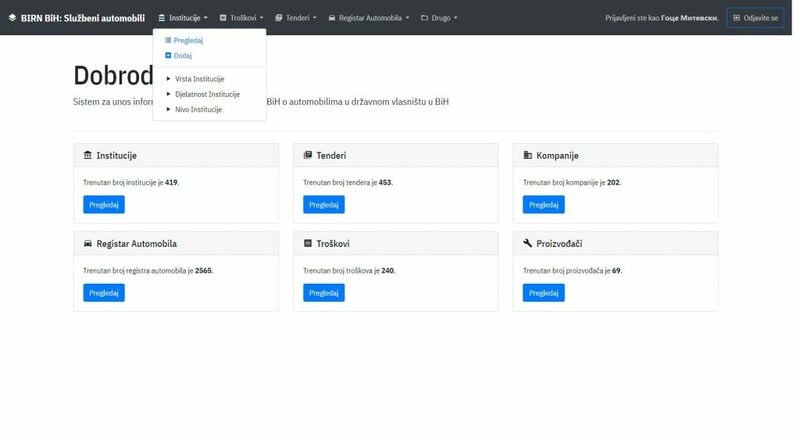 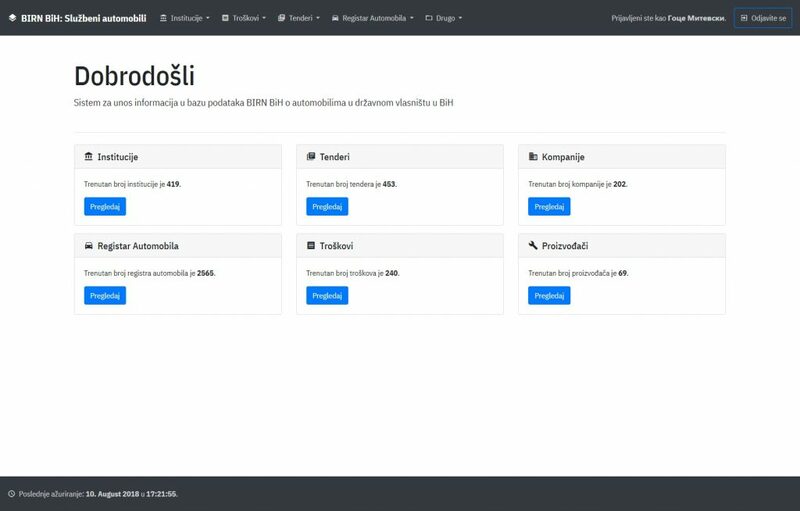 “BIRN BiH: Baza službenih automobila” consists of two separate web applications – one for data input and management, and one for data interpretation and visualization. 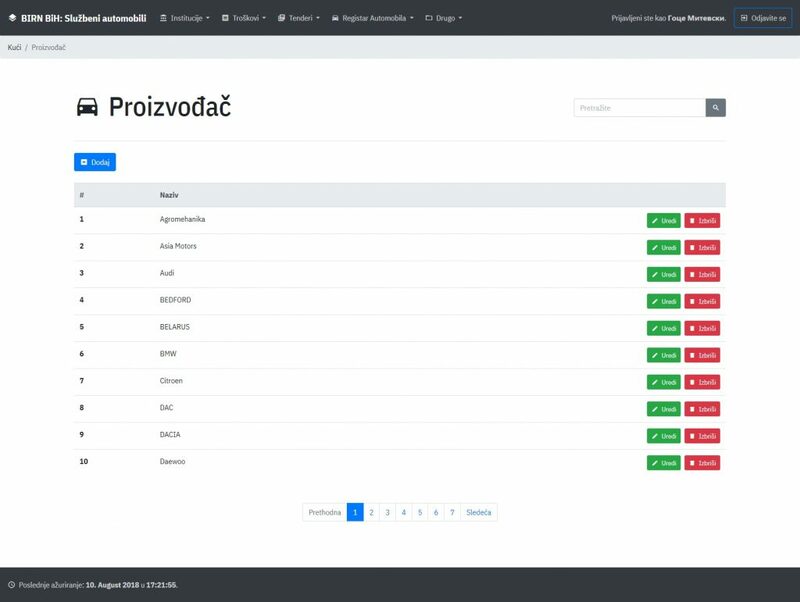 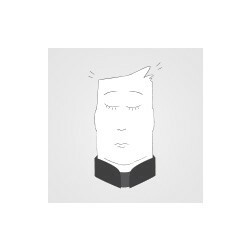 Both applications share a clean, contemporary, unified design – based on best practices in User Interface Design, User Experience Design and Visual Design in general.